Held annually in Puebla, Mexico, La Ciudad de las Ideas (CDI) is an “International Brilliant Minds Festival”, unique in its genre and created by the polymath Dr. Andrés Roemer, whose purpose is to empower citizens and present the most provocative and innovative iideas in science, technology, art, design, politics, education, culture, business, entertainment and other areas of knowledge. Alphachimp joined hundreds of participants gathered at the Brooklyn Academy of Music's Harvey Theater on June 24 for PopTech's 'The City Resilient,' a day-long exploration of the diffuse and increasing threats to cities and communities around the world. 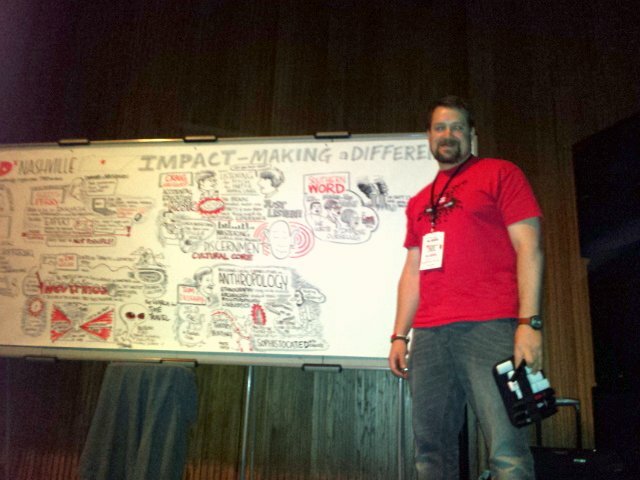 On Saturday, April 6, 2013, TEDxNashville hosted its fourth annual event titled "Next" at the Tennessee Performing Arts Center. Distinguished leaders in technology, entertainment, design, science, art, education, government, public policy, healthcare and other areas shared their remarkable thoughts and ideas focused on creating positive changes in our society. Diane Durand launches Discovery Doodles. This the next evolution of putting her doodling passion into practice in new ways. Discovery Doodles is a company designed to serve not only businesses and innovators with strategic conferences, brainstorming sessions and product ideation, but to extend this practice into homes and schools. Discovery Doodles allows us to take what we have learned in the global business world and share it with parents, teachers and most importantly, kids! In the days before the annual PopTech Conference the Alphachimp team worked with the scientists and social innovators as part of the PopTech Fellows Program. The STEM Think Tank and Conference that occurred last week at Harpeth Hall School is one of my favorite events in Nashville. It's so exciting to see the brainpower that gathers with a passion for promoting education for girls in STEM (Science, Technology, Engineering, and Math.) For the last two years, I've walked away from the conference with a restored faith in the potential for education, a reverence for the committment on the part of teachers to education for girls, and a sense of awe about the creative tools these educators are using to take STEM education for girls to the next level. Alphachimp collaborator Megan Mukuria featured in Fast Company! The team at Alphachimp get to travel the world in our capacity as doodlers, and meet amazing people who work on compelling and important projects. It's so heartening to see those people receive the accolades they deserve. This week, our friend and collaborator, Megan Mukuria, founder of the amazing Kenyan non-profit ZanaAfrica, is featured in Fast Company magazine as a member of the League of Extraodinary Women. This interconnected group of executives, philanthropists, entrepreneurs, artists, government officials, and academics is formulating groundbreaking initiatives and hacking long-outdated aid models by tapping new thinking and a growing data set that suggests that investing in girls and women will create measurable economic benefits for all. Alphachimp is thrilled to share that our entry for The Flame Challenge is being featured on Scientific American’s Blog Network as Video of the Week. The Fabulab's Flame Challenge from The Fabulab on Vimeo. The Flame Challenge, launched with help from Alan Alda, dared scientists and educators to submit videos explaining what a flame is—a subtle concept touching on many subfields of physics and chemistry. What set this contest apart from other science communication contests is that the judges were roughly 6000 11-year old students at 130 schools. Members of the Fabulab earned an Honorable Mention in the challenge, and it’s our favorite video this week. Perrin Ireland graphically records Creativity Moves Nashville; Credit: Matthew Freise, NossiAlphachimps love the lure of the open road- we’ll willingly pack our markers and paper, load up the old roller luggage, and travel around the world to graphically capture an event. But the events we attend at home, here in Nashville, are a sweet relief. What could be better than going to an action-packed event full of inspiring speakers who all live within a stones throw of us, and then getting home in time for dinner? Needless to say we were thrilled to be invited to scribe a recent local event, Creativity Moves Nashville. 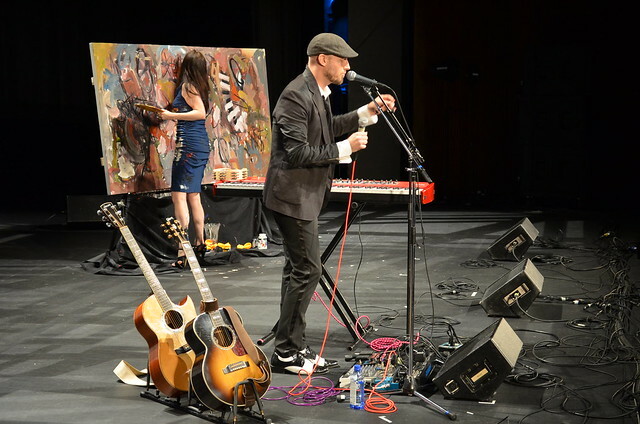 Organized by Jacob Weiss, this half-day conference, held on May 24th, was devoted to connecting artists with causes and entrepreneurs. Weiss exemplifies a compelling method for artists to lead creative lives full of meaning and success. The solution is simple: make your art relevant, and purposeful, by connecting with a nonprofit or an entrepreneur with a cause, and create impact in your community. Activists and experts from around the world converged in Washington, D.C. on May 23-24 to explore the most pressing dilemmas and exciting opportunities around free expression in the digital age. In April, we hosted a very special guest in Nashville. The talented and witty Patrick van der Pijl, producer of the best-selling business book, Business Model Generation. For 10 days, Patrick worked with our team to accelerate the production of a new online course set to launch June 1st. This course is perfect for the busy facilitator, consultant or manager who works with teams to examine, understand and innovate new business models. Over 1,200 delegates gathered at TEDMED 2012 from all around the globe and virtually every profession from the Director of the NIH to the world’s foremost big wave surfer. 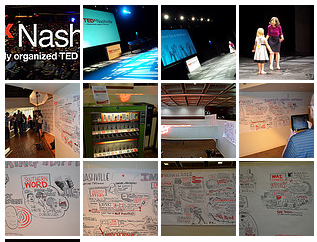 For almost 90 presentations and performances, comprising 11 sessions, over 3 days we created digital scribing assets available on Flickr, YouTube, the TEDMED blog, and in PDF summaries. Alphachimp loves the musical stylins of Jill Sobule. Whether musing about the death penalty, anorexia, or what it would be like if Edgar Allen Poe had taken Prozac, she delights and challenges in her sly, funny way. 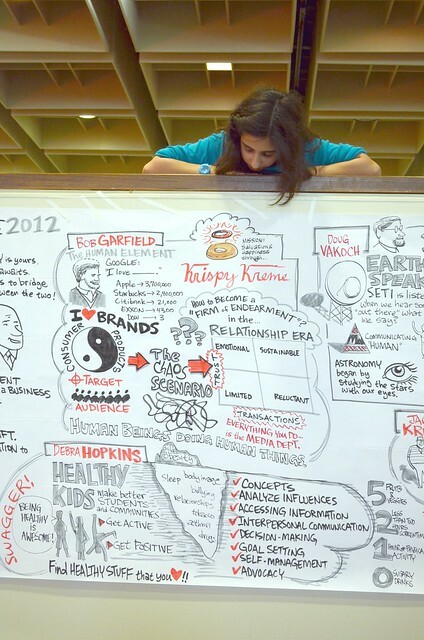 Check out our electronic scribing of her presentations at #TEDMED so far, in addition to the other incredible speakers we've gotten to see. If you missed her, don't worry- she's peppered all over the schedule, so we'll be hearing lots more about how "Disease Don't Care!"